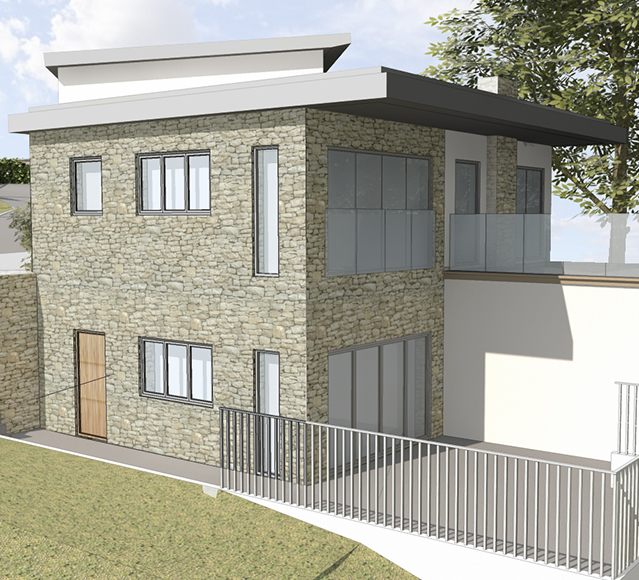 Environmentally friendly homes in a much sought after area of Plymouth. Bailey Partnership were commissioned to conduct a site appraisal for three dwellings on a site historically used as a low-grade agricultural holding. 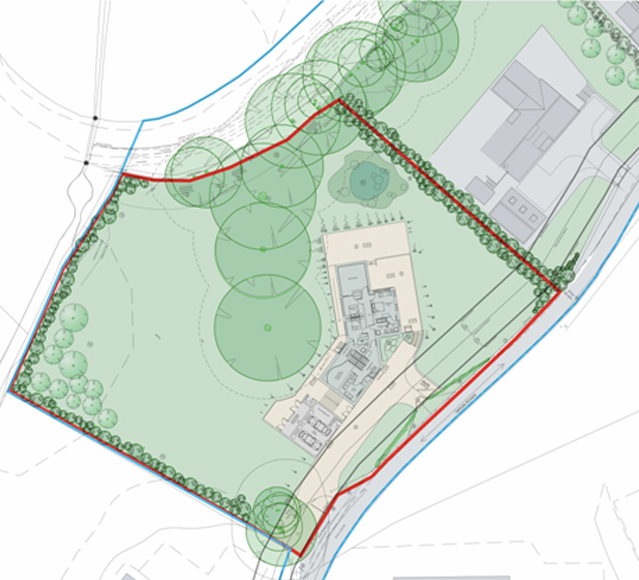 We gained an outline planning approval for 2 plots and then developed the scheme into a full planning application for two detached 4 bedroom eco-houses. The houses were designed to be a sustainable development with their structure forming a low carbon strategy that satisfies guidelines for new dwellings. For this reason and their appearance the houses were dubbed “Eco Barns” as that was the initial sketch concept which was then developed into the planning approved scheme. 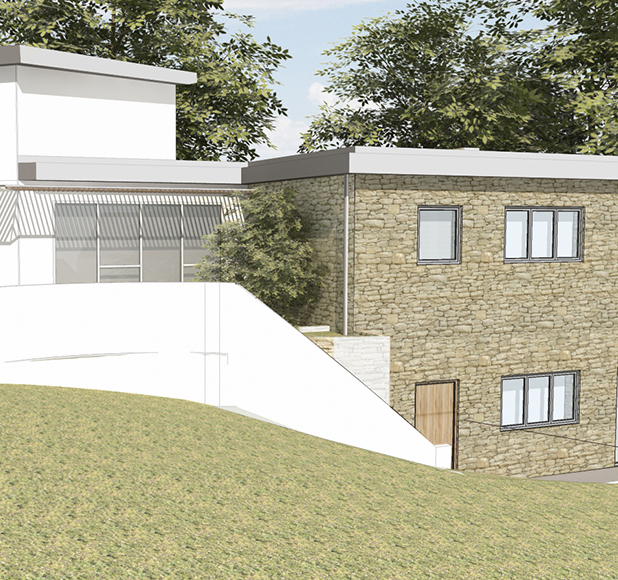 Following our successful planning applications for Plots 1 and 2, we were commissioned to conduct a site appraisal for a new Eco Barn within the extended garden of the Plot 2 site. The design centered around the main oak tree and utilised the the site levels, creating a tiered barn which frames the feature tree, central to the site.